Strange changes are taking place in Village. As one of the few people able to travel through the dangerous Forest, Matty must deliver the message that Village will soon be closed to outsiders. But Forest has become hostile to Matty as well, and he is armed only with an emerging power he cannot yet explain or understand. Messenger is the masterful third novel in Lois Lowry’s bestselling Giver Quartet, which includes The Giver, Gathering Blue, and Son. Trouble is brewing in Village. Once a utopian community that prided itself on welcoming strangers, Village will soon be cut off to all outsiders. As one of the few able to traverse the forbidding Forest, Matty must deliver the message of Village’s closing and try to convince Seer’s daughter Kira to return with him before it’s too late. But Forest is now hostile to Matty as well. Now he must risk everything to fight his way through it, armed only with an emerging power he cannot yet explain or understand. 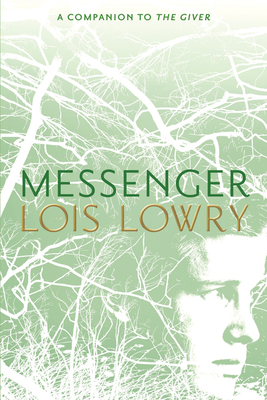 Messenger is the masterful third novel in Lois Lowry’s Giver Quartet, which includes The Giver, Gathering Blue, and Son.